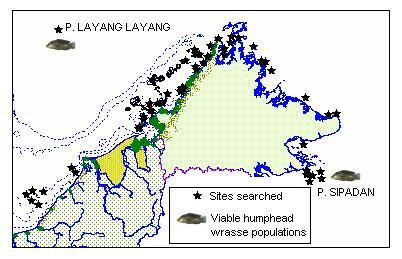 of Sabah with a breeding population. Scary fact--- The biggest wrasse and one of the most charismatic fish on a coral reef is almost extinct in the Semporna region. TRACC divers have just finished (Dec 2013) a coral reef survey of Timbun mata island, a large volcanic island (70km long) to the north of Semporna. The ocean surrounding Pulau Timbun Mata is not legally protected but the land is technically a forest reserve, there were plenty of big trees but the mangrove was definitely being harvested close to Semporna. On the north side the island has a fringing reef with quite steep slopes. Severely bombed in parts but there were a few remote areas which still had good coral cover. 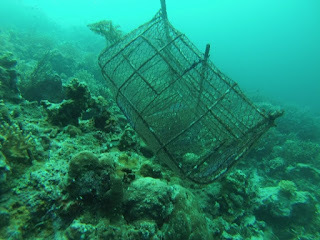 While the sea bed cover varies with the amount of blast fishing and other variables there was at least 50% live seabed at all the offshore reef sites to the north of Timbun Mata. In many places, the living reef cover exceeded 80% and was very biodiverse with a wide range of different species. reef fish populations in some areas. This pot is upside down. Surprisingly there were no HHW seen on any of the 150 transects at 50 different locations around the island. 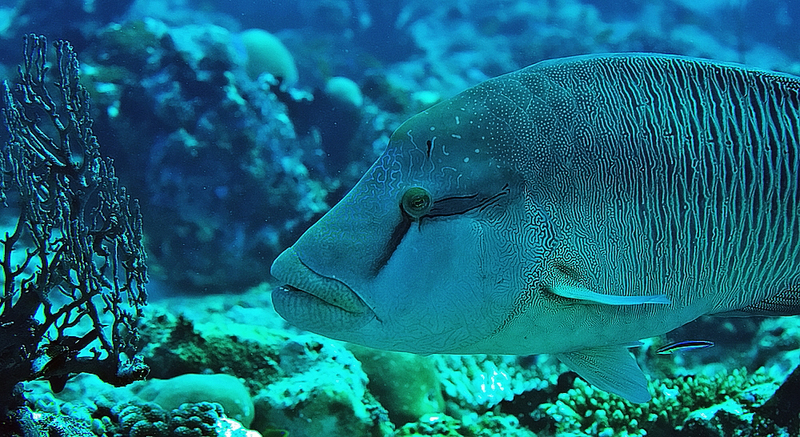 Groupers, snappers sweetlips and grunts were all noticable by their absence. There were almost no commercial fish. The low fish diversity and abundance is most probably related to the widespread use of fish pots. At some sites more than 5 fishpots /100m were recorded. There were very few fish of commercial size at any site. Blast fishing was widespread and there is a clear gradient of blast fishing from high close to the villages to low at the reefs further from the villages. Some reefs were reduced to rubble with very low fish and coral diversity and abundance, however most reefs were patchy with blast damage confined to the shallower reefs. Reefs at 10-15m were relatively intact with high coral cover and diversity. Other species are also severely overfished, very few grouper (Serranidae) or other commercial fish were observed during the surveys. These results from Nina Ho and Ken Kassem in 2009 and from TRACC in 2013 indicate severe overfishing of these commercially and ecologically important species. There is a small population on Pulau Sipadan, where does it get its recruits from? The island is too small to hope that larvae find their way back to the tiny island. From the TRACC surveys around the whole coast it is clear that there is no other population upcurrent from any of the Semporna islands. 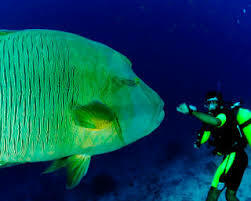 More info on humphead wrasse and the live fish trade. 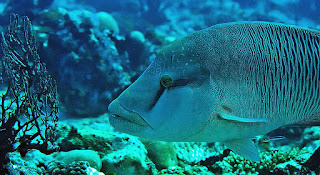 If the humphead wrasse of Sipadan die because of recruitment failure then the species will be regionally extinct and will deserve to be upgraded from endangered to critical (IUCN red list).